Is Your Mascot Following The Code or Just Winging It? Arguably, the most valuable asset of your company is the most intangible… your branding. And your mascot is a big part of that branding. It is incredibly important to protect the brand that you have set out, and this can be achieved through the creation of a “Code of Conduct”. A Code of Conduct is defined as “a set of rules outlining the responsibilities of, or proper practices for, an individual, party or organization”. This often includes ethical considerations. 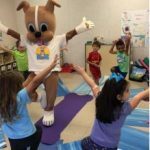 Creating a “Mascot Code of Conduct” and ensuring that your performer(s) sticks to it, is one way to avoid potentially catastrophic situations, and to provide quick and readable instructions to a volunteer! Keep in mind that these rules are not meant to take the fun or spontaneity out of your mascot program, and they’re not meant to be punitive. They are meant to ensure that your mascot is engaging in fun that is reflective of your brand/ school/ sports team’s identity, and that is not going to land you on a Late Night Talk Show lamenting your Mascot Scandal! Your Mascot Code of Conduct will be a guide for making day to day decisions that reflect the values of your entire organization! Consider what your mascot will be doing! Is your mascot attending high profile events where good behaviour is important? Keep in mind that it’s OK for your mascot’s behaviour to vary from venue to venue, as long as you have a solid Code that always applies and a solid personality for your character. Safety of your performer and those around your mascot should always be the number one priority. Identify the needs of this particular mascot (as it is undoubtedly an original) and identify areas of particular caution. 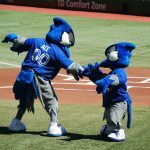 These could include limited vision, restricted hearing, lack of dexterity or the more specifics of who is able to wear this mascot safely, or who shouldn’t wear the mascot (think overweight and diabetic with a heart condition and a sweat problem). This section can also include your rules regarding mascot hydration (ie: take a water break every 20 minutes). Make sure that you include information on what your performer must do to ensure his personal safety in the costume. Your performer needs to be aware of not just their individual safety, but the safety of those around them. They need to make sure that they survey their environment and have a keen sense of spatial awareness while in costume. After all they are probably not used to having an overly long tail and snout, and need to be aware of the potential dangers that these present when their mascot is in movement (such as the scary possibility of taking out small children with one quick swipe of their tail). Make sure that you have a handler with you at all times, who understands your code, and who you share hand signals. Don’t smoke in or near the costume. The smell carries and it only takes one ember to burn a hole. Do not wear the costume while intoxicated, or hung-over. This will impair your performance and could prove dangerous. It is important to clarify with your performer if they are allowed to accept monies, and under what circumstances. Are they allowed to accept tips? Are they allowed to accept gifts or other benefits? The last thing that you want to learn is that your mascot is running a “photo opp. side business” without your knowledge! For that matter, if they do accept tips, are they shared equally between performer and handler? Employee disputes have been started by far less than this! Some of our most esteemed clients are political and religious organizations whose mascots are responsible for conveying a particular religious or political message. However, if your organization is not political or religious, then it is important to be clear on your stance when it comes to these matters, and related activities. You need to ensure that any religious or political event which your mascot attends aligns with your organization’s values and (even better) are endorsed by your company. Politics and religion are touchy subjects, and the last thing you want to do is offend or ostracize part of your demographic, because they don’t agree with the event your mascot attended. Make sure that your Code specifies how the costume is stored, and whose responsibility it is to make sure that mascot is safe and stored at the end of the day. 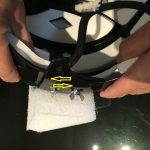 Is this the performer’s responsibility? The handler’s? Aside from ensuring the safekeeping of an expensive purchase, physically protecting your mascot can save it from being on the “Missing Mascot List” (but that’s another issue for another time). The Code of Conduct is a great spot to identify the reporting structure. Who does the performer report to? Who does the handler report to? Make sure that this is clear from the start, as it is the supervisor’s job to make sure that everyone understands the importance of the code! Do not take the costume off the storage property unless authorized. Always be camera ready when in public. This is vital. Your code and vision should be uppermost in everyone’s mind and influence every mascotting decision that is made. Repercussions for violating the code should be clear. Consider a “warning system” or termination, depending on the severity of the violation. If you’ve done a great job in creating a Code of Conduct, you may never need to deal with violations! If you rely on volunteers to wear your costume: Provide your volunteer(s) with your “Code of Conduct” at least a few days in advance of their shift. This will allow them to prepare for the role. Consider having a digital copy on file that you can send out to volunteers once they have confirmed with you. Empower your volunteers to act with confidence! 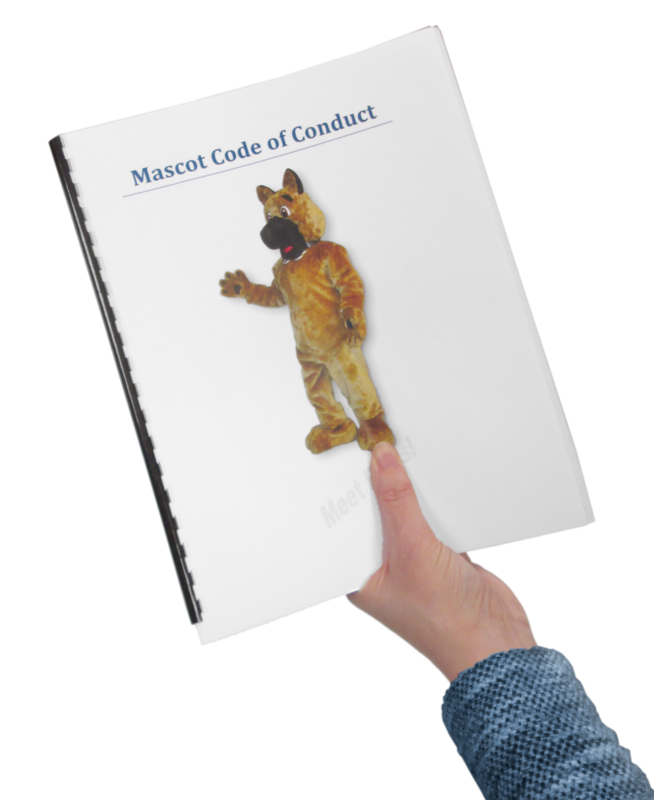 Hand a printed or digital copy of your Code of Conduct to all mascot performers and their handlers! If you have one (or a few) steadfast performer(s): Lucky you! Make sure that each performer has a copy of the “Code” when they begin working for you. As stated above, it may even be helpful to get them to help you make the “Code of Conduct”. This one document will help them make day to day decisions with confidence, knowing that they make a difference to your organization’s branding. Have a huddle with your performer. Discuss their specific role in the event/ day etc. and what tasks are expected. Make sure that your performer knows who they are reporting to! There needs to be a hierarchy in place, just like with any other job. Does your mascot have a Handler? If so, make sure that “who does what” is clear. You may even want to make a separate “Code of Conduct” for the Handler! Give your performer a pep talk!! Even though they will be hidden inside a costume, being a good mascot still takes confidence! There you have it folks. Protect your brand, protect your mascot, and protect your performer. Some pre- planning is bound to go a long way in ensuring that you have a confident performer (and confident PR team!!) Making a “Mascot Code of Conduct” may seem like a bit of an onerous task, but hopefully these recommendations will help guide you in the right direction! Any other tips for a good Mascot Code of Conduct? We want to hear from you!